Disclaimer: This article was created in partnership with Frigidaire. But the opinions are all ours! Each summer I love to take advantage of the time my kids have off school to fill their little minds and hearts with fun, adventure, and learning. As my three children have gotten older and out of the nap stage, summer days revolve around trips to the pool, parks, and various “field trips” and “road trips.” That means a good store of healthy, on-the-go snacks is essential for these various venues to keep the “campers” happy and full of energy! 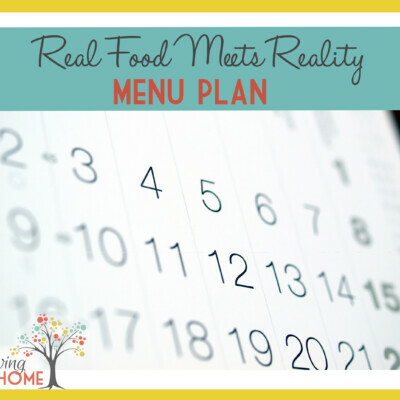 It’s not always as simple as it seems to find or get my family to actually eat nutritious on-the-go snacks. A trip down the snack aisles at the grocery store reduces our choices to mostly crackers, gummies and cookies that do not provide the long-lasting energy we need when we’re running around. Instead, I try turn to healthy grab-and-go snacks like the 30+ store-bought options or homemade ideas below. 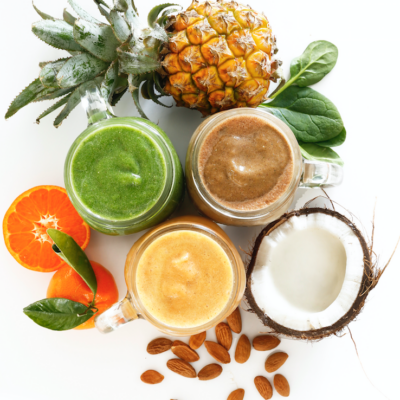 Buying or making healthy snacks is the first step. But, let’s face it, getting the family to actually eat them can be a big hurdle. 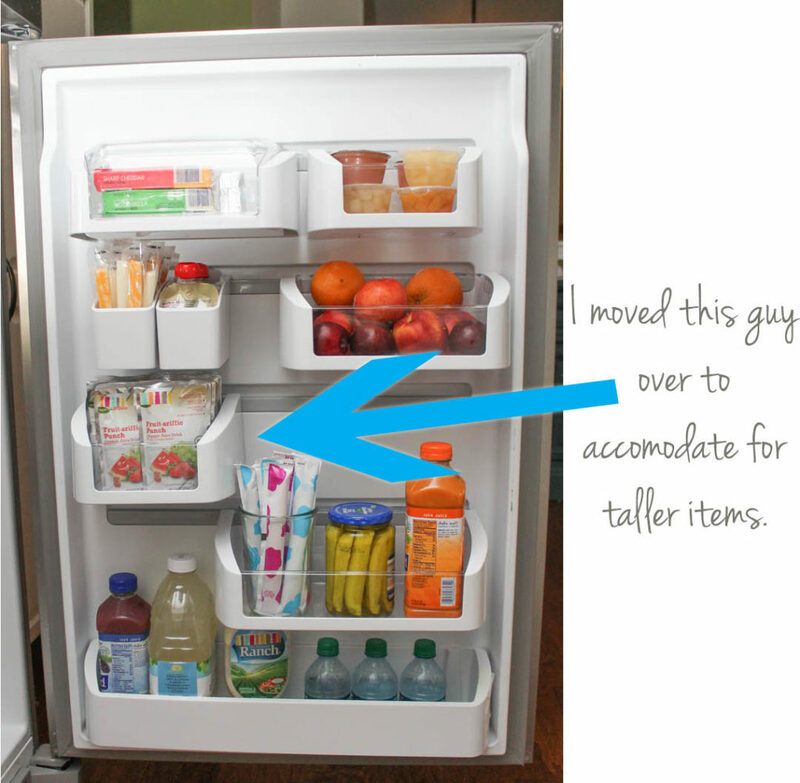 A HUGE help to that end has been simply organizing the snacks in an attractive, easily-accessible way. My kids naturally LOVE to pick out one of the healthy options in my new Frigidaire Gallery Top Freezer Refrigerator with Custom-Flex Bins, for instance. 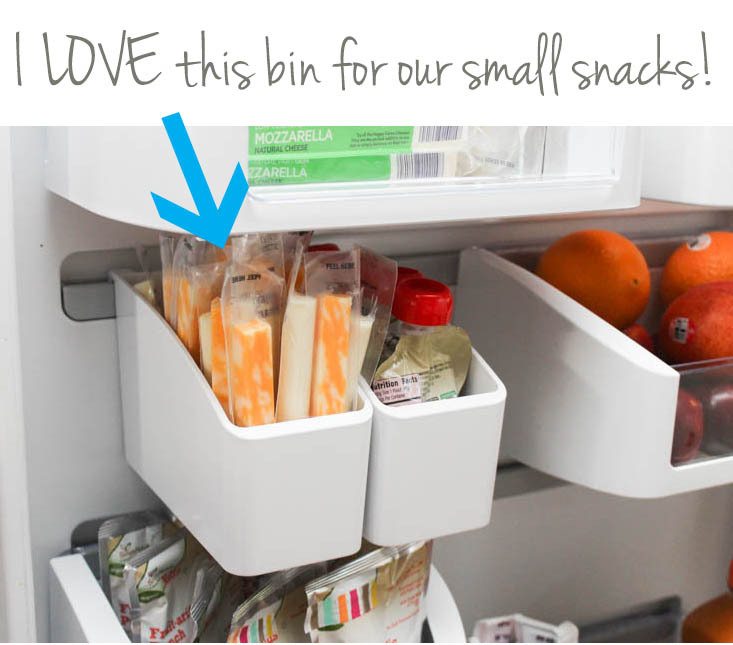 These easily-adjustable bins are awesome! The first day I organized them with a variety of on-the-go snacks, my daughter and son opened the fridge and simultaneously went “Wow!! !” when they saw healthy “eye candy” in the door. Those little rebels kept “sneaking” fridge door snacks throughout the day. And see below how Polly has done the same thing at her house? 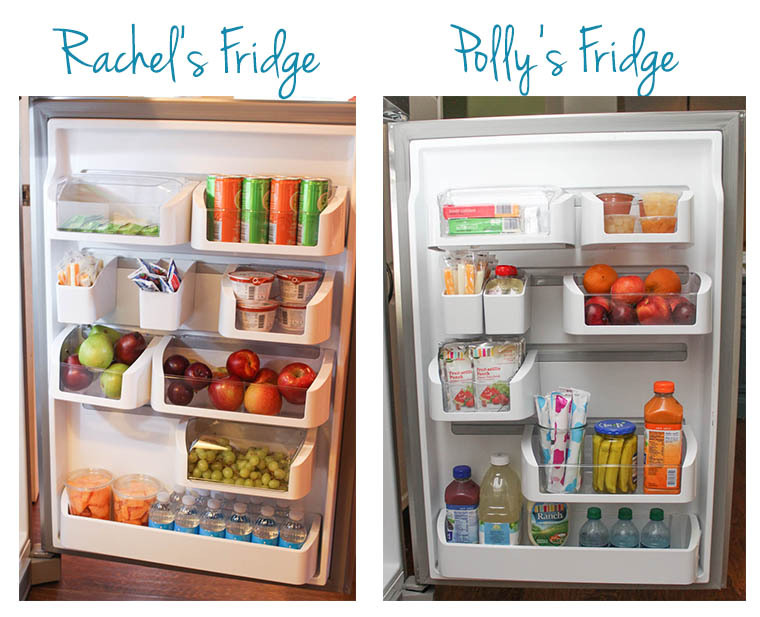 We thought it would be fun to show you a side-by-side photo of how we’ve both organized our various on-the-go snacks in different ways for our families. With a slide of a bin here or a quick change-out of a bin there, our kids have good, healthy options right at their fingertips all summer long! 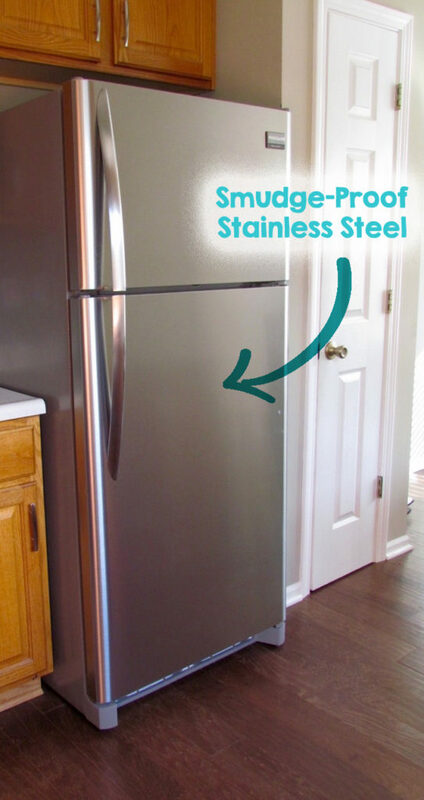 Oh, and did I mention how helpful the Smudge-Proof Stainless Steel is with lots of little sticky fingers around, too? 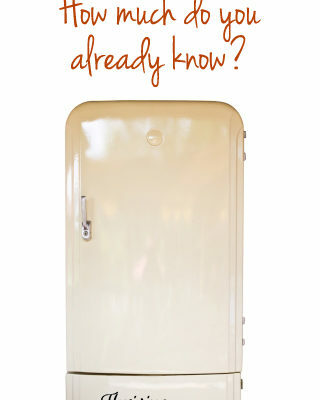 It resists fingerprints and smudges and I can attest under oath that I’ve never had a fridge look that clean after weeks of kids opening and closing it. 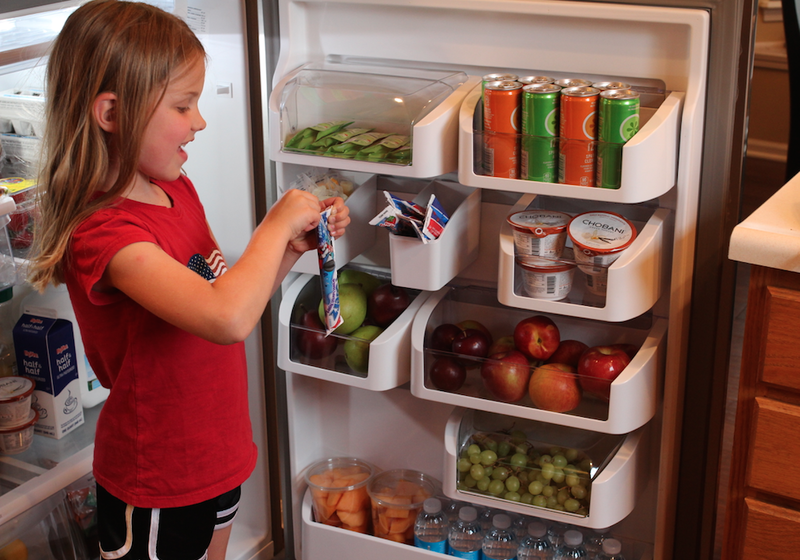 Learn more about our new Frigidaire Gallery refrigerators with Custom-Flex Bins by swinging by the Frigidaire website. 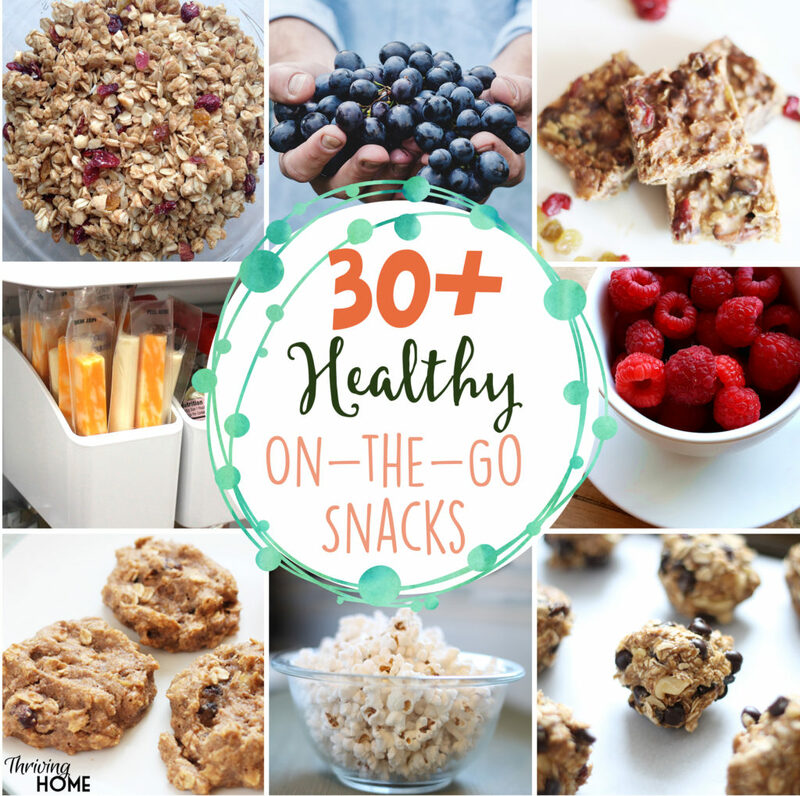 Now, it’s time to hand you my personal list of 30+ healthy, on-the-go snacks that our family and friends love! 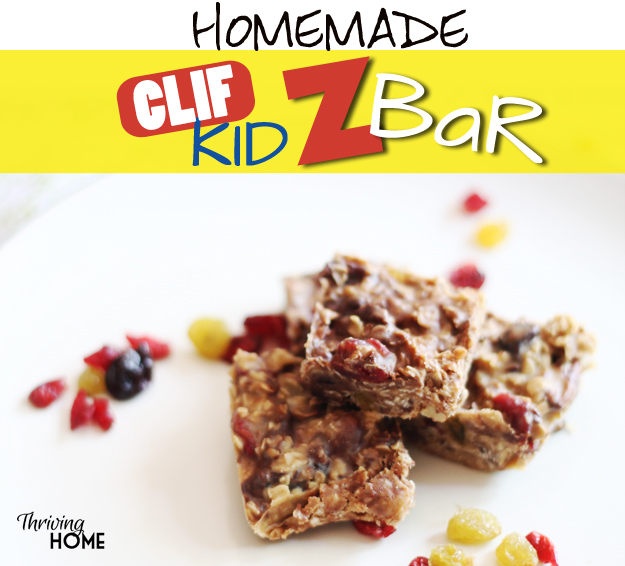 1) Homemade Clif Kid Z-Bars – Cut up and wrap these bars separately in plastic wrap and place in the refrigerator or freezer for a quick and healthier treat. The refrigerator also keeps them from melting in warm little hands in the car! 2) Fresh or Frozen Grapes – Wash and divide up a large grape bunch into small bunches and place in a container in the fridge. That way it’s easy to grab this minimally-messy fruit for your next trip. Or try frozen grapes for nature’s best popsicle! 3) Whole Wheat Pretzels with Nut Butter – Look in the health food section for ones that are high in fiber and have no preservatives or additives. Bring along small containers of peanut butter or almond butter for dipping to add in some protein. 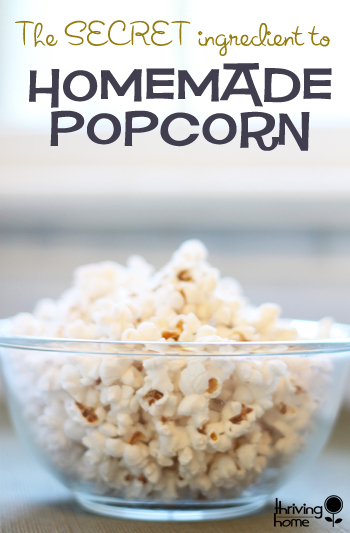 4) The Best Homemade Popcorn – This “real food” popcorn rivals any movie theater popcorn. Make a big batch in just a few minutes and then store in an airtight container. It lasts for 2-3 days when sealed. 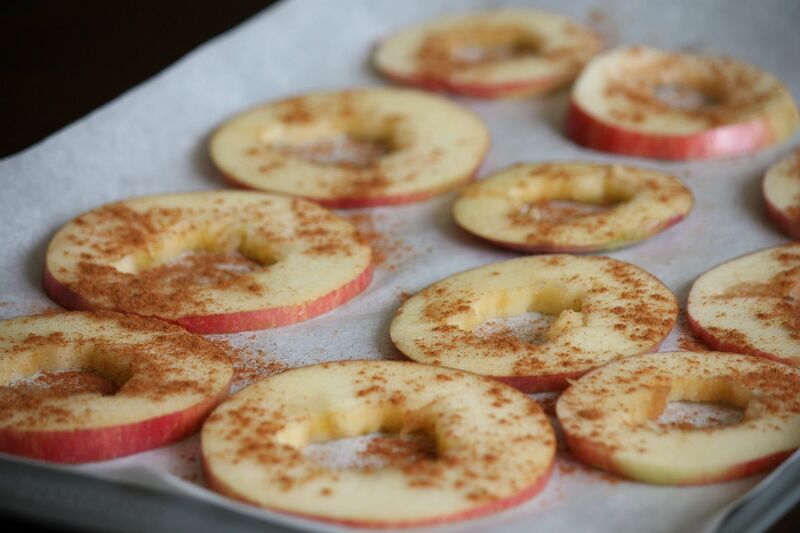 5) Apples and Pears – Wash (using this quick homemade veggie wash) small to medium-sized apples and pears for self-contained, fiber-filled snacks. Stick in a fridge drawer so they are easily available to grab and go. 6) All-Natural Cheese Sticks – Add in this low-cal protein and calcium-rich snack to your day to keep your appetite at bay. These little guys fit perfectly in my small open bin in the door of my Frigidaire Gallery Refrigerator. 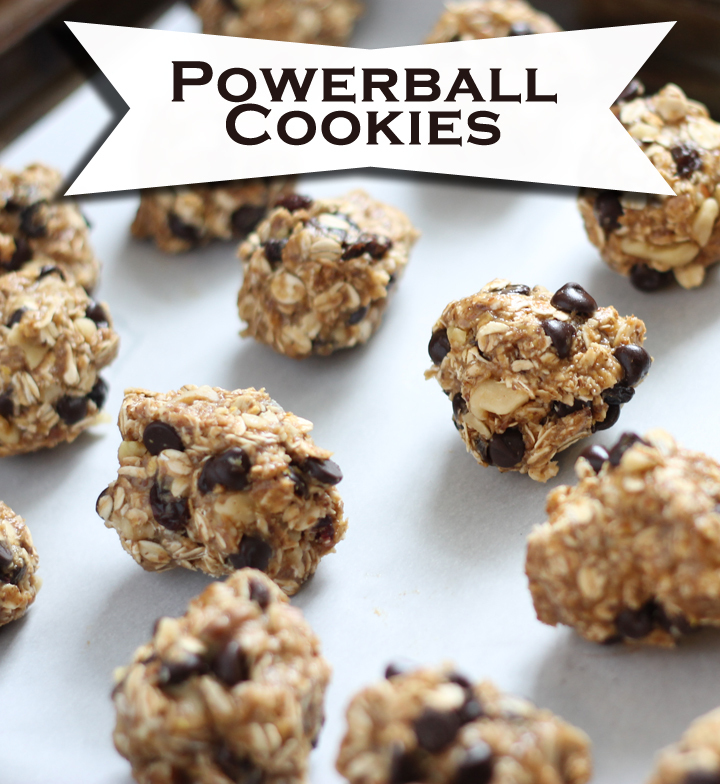 7) Powerball Cookies – Oh these little orbs are absolutely delicious and a relatively healthy no-bake cookie. I stick them in the fridge or freezer and they can last for weeks (although they never stick around long!). 8) Homemade Trail Mix – Save money and skip all the added sugars, salt, and preservatives found in many store-bought trail mixes. Take a trip to the bulk bins at the store to create your own container of trail mix. Ideas include dried fruit (raisins, dried cranberries, dried bananas), all-natural dark chocolate chips, your favorite nuts, and mini whole wheat pretzels. 9) Multigrain Crackers with Cheese Slices – Look in the health food section for crackers that are high in fiber and have no preservatives or additives. Then, I add a few cheese slices and crackers to a small sealed container for a satisfying mid-morning or mid-afternoon snack. 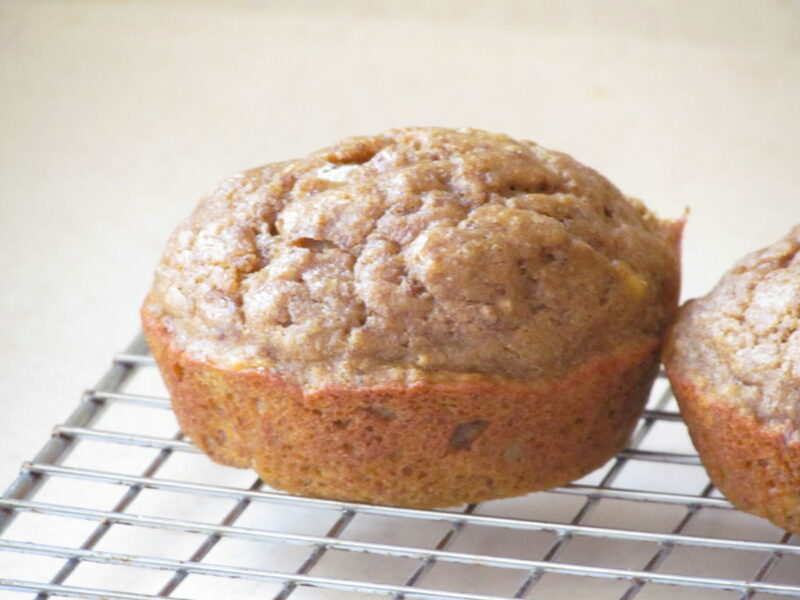 10) Whole Wheat Banana Pumpkin Muffins – This is hands-down my family’s favorite, whole wheat muffin recipe. These muffins are naturally sweet and moist. Store in the fridge or freezer for longer life, but like the Powerball Cookies, they’ll probably disappear pretty quickly. 11) Frozen Peas – I used to love these as a kid and mine do now! They are sweet and a welcomed cold treat in the summer. 12) Sunflower Seeds – I buy lightly salted, roasted sunflower seeds in the bulk food section and my kids love these, as do I. 13) Squeezable Apple Sauce Pouches – I scour the label of any applesauce I buy to make sure there are no added sugars (look out especially for High Fructose Corn Syrup!) and preservatives. But, there are actually some great, all-natural options of these in the snack aisle of most stores now. 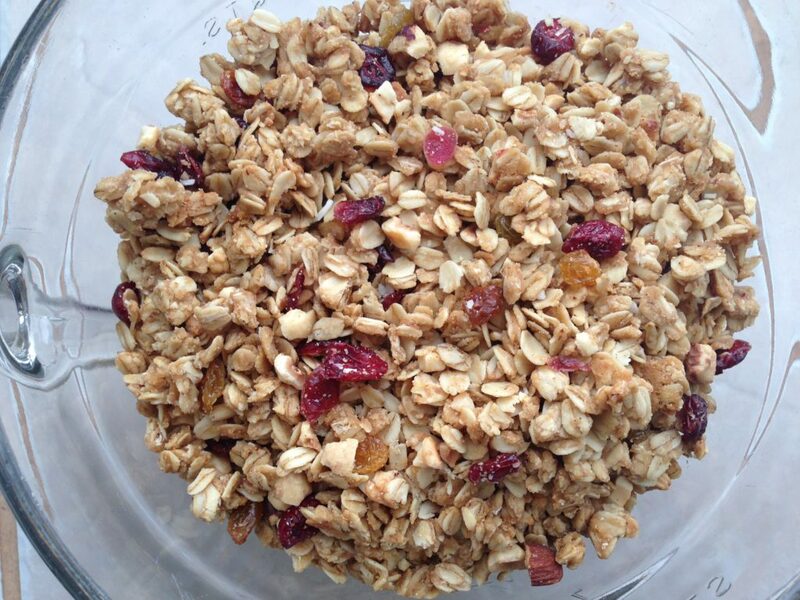 14) Homemade Granola – We have two delicious and healthy granola options on our site that are perfect to take on-the-go: Homemade Granola and Coconutty Granola with Dried Fruit. 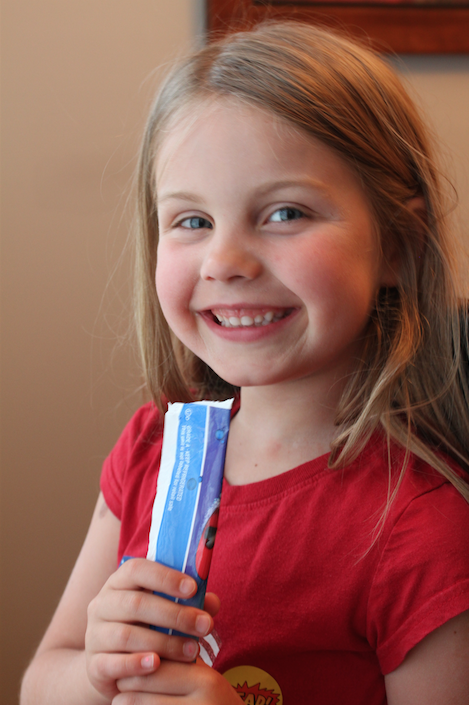 15) Squeezable yogurts or small cups of yogurt – Look for ones with low sugar content and organic if possible. 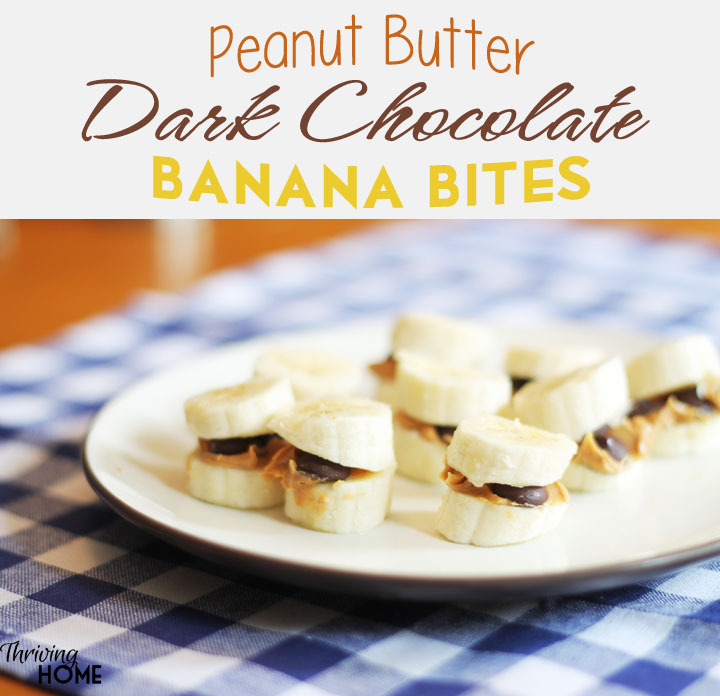 16) Peanut Butter and Dark Chocolate Banana Bites – There is something about small bites that make a snack even more delicious. Give this tasty combo a try. 18) Baby Carrots with Nut Butter – I always keep these on hand in my refrigerator. They are so easy to throw in a lunchbox or baggie for the car. 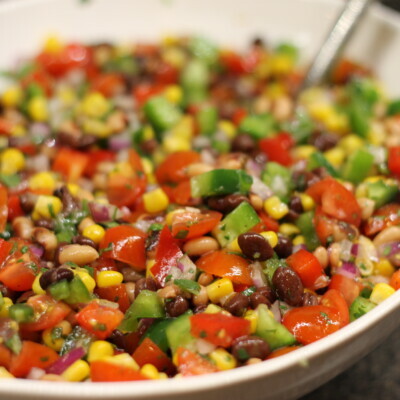 Add a small container of peanut butter or almond butter or a great dipping option, too. 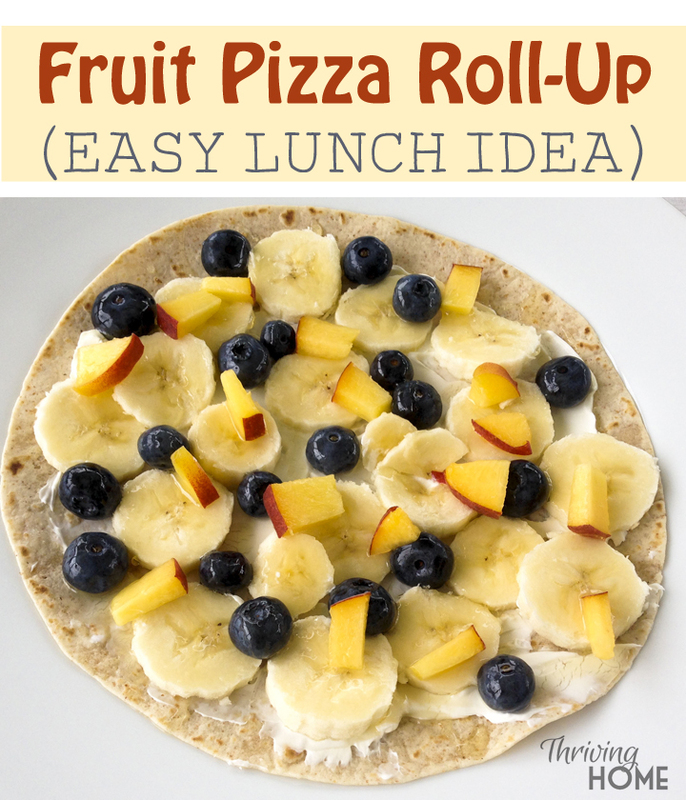 19) Fruit Pizza Roll-Up (or Whole Grain Tortilla Roll-Up) – Wrap up your favorite healthy foods inside the perfect take-with-you soft tortilla. 20) Clementines – My whole family loves these “naturally pre-packaged” easy-to-peel citrus fruits. They are especially cheap and good during the winter months. 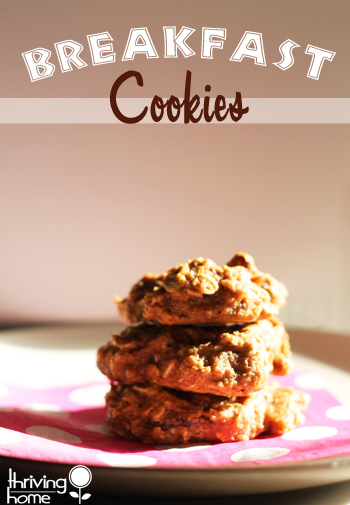 21) Breakfast Cookies – These all “real food” cookies are packed with protein, potassium, fiber, and calcium. They’ve been a family favorite for years. 22) Mixed Nuts – I always have a container of mixed nuts on hand in the pantry. Or my favorite nuts–pistachios in the shell! 23) All-Natural or Organic Turkey Pepperonis – I find these in the health food section near the refrigerated sausage. My kids down these healthier pepperonis by themselves or we enjoy them on whole grain crackers. 24) Hard-boiled Eggs – Boil eggs, peel and store in the fridge for a filling, protein-rich snack that can be eaten almost anywhere. 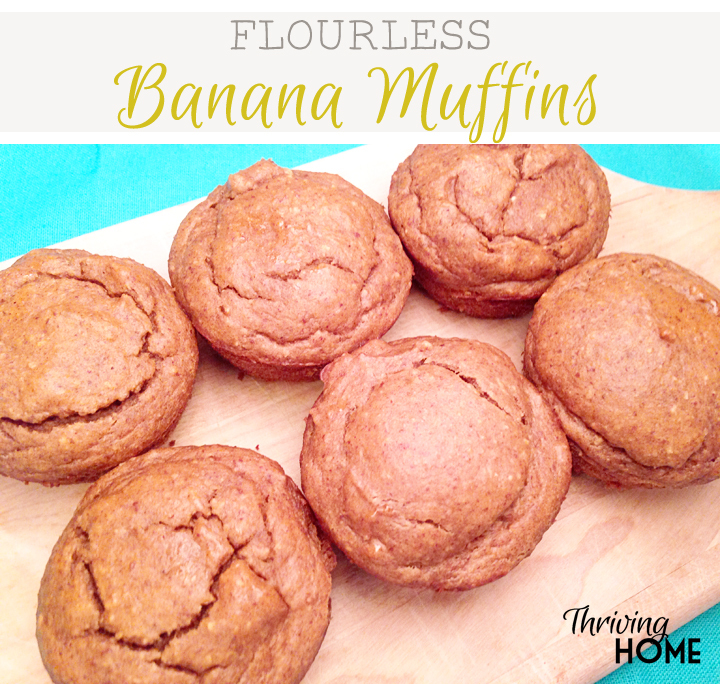 25) Mini Flourless Banana Muffins – By using almond flour in these muffins made in the blender, they turn out high in protein, moist and delicious! And, they are gluten-free. 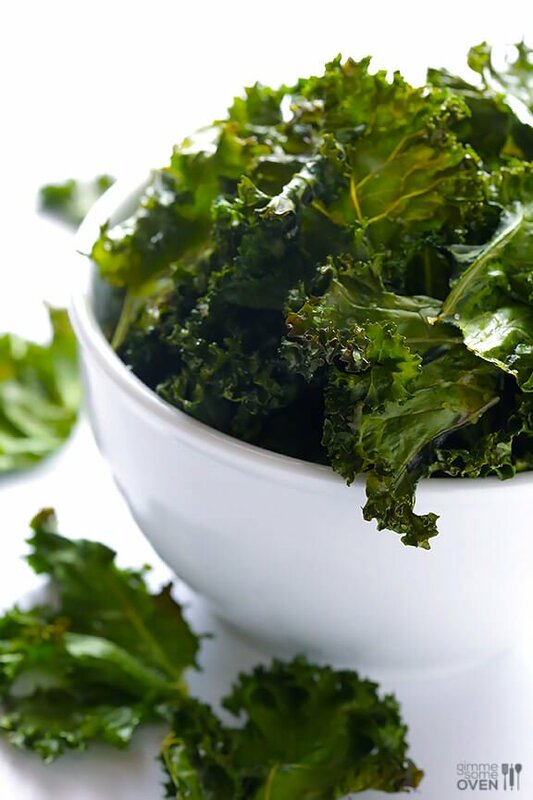 27) Kale Chips – Get your greens and like them too! These nutritious crispy “chips” from Gimme Some Oven will win you over to the greener side of life. 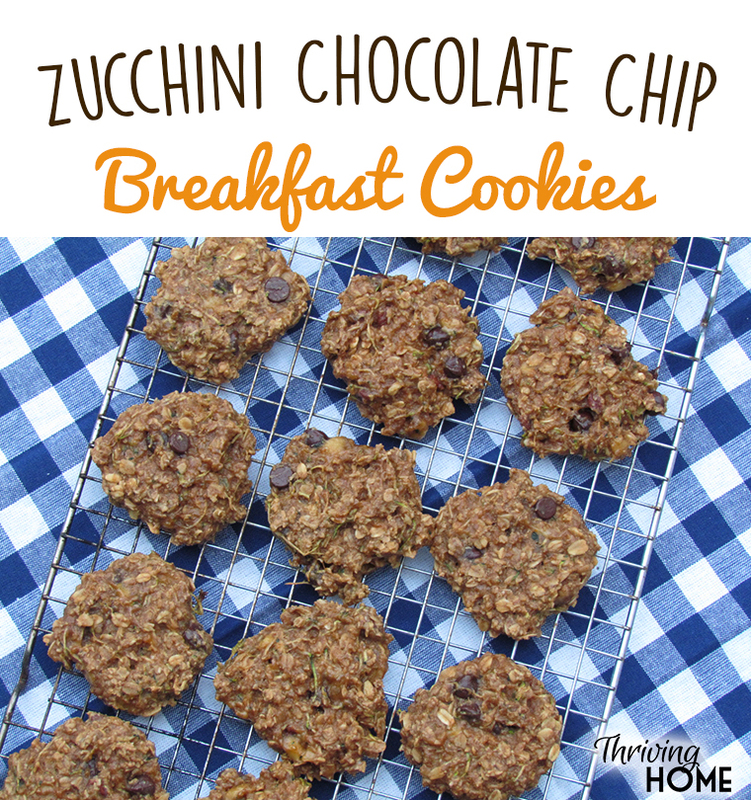 28) Zucchini Breakfast Cookies – Zucchini for breakfast!? Yep. And bananas, oats, and nut butter, too. All in one transportable, super nutritious, tasty COOKIE. 29) Ants on a Log – You remember this old school snack, right? Spread some nut butter on a celery stick and then add raisins on top. 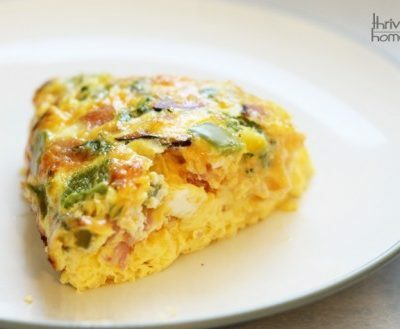 You can make a whole plate full and keep them in the refrigerator for several days, so you can grab one or two at a time to go. 30) Fruit Cups – You can either purchase all-natural fruit cups at the store (preferably packaged in 100% real fruit juice) or make your own by simply cutting up fruit, tossing it with a little juice (one has Vitamin C in it, to prevent browning), and place in small containers with lids. 32) All-Natural Beef Sticks – I find these protein-rich snacks at our local Farmer’s Market, made with local, grass-fed beef. 33) Whole Grain Bagels with Plain Cream Cheese – About once a month, I run by our local bakery to purchase some whole grain bagels. While I’m there, I ask them to “bread slice” some of them so we can easily snack on them. For an on-the-go option, add a few tablespoons of plain cream cheese to a small sealable container for dipping the bagels slices. 34) Sugar snap peas – These sweet little guys can go anywhere with you. My kids love them straight up, but I like them dipped in some Homemade Ranch Dip. 35) Pickles – Polly’s kids love pickles, believe it or not. With more and more research showing that probiotic-rich, cultured foods are good for the gut, pickles made our healthy snack list. 36) Strawberries, blueberries, and raspberries – Berries travel pretty well when kept chilled and in a sealed container. The antioxidants provided in this version of “nature’s candy” make berries a nutrient powerhouse. 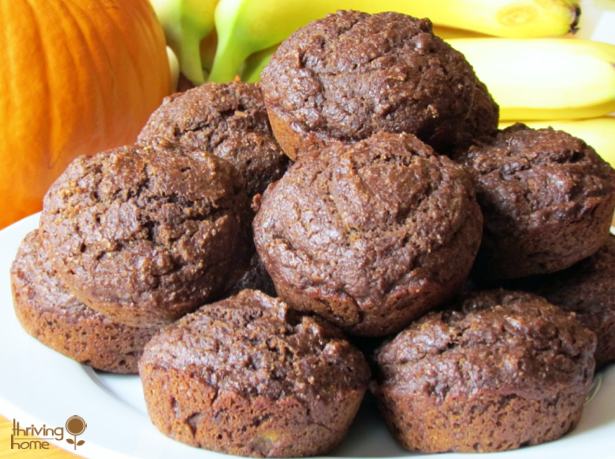 37) Whole Wheat Chocolate Banana Muffins – Ok, you caught us. We are big muffin fans around here. But, cross my heart, these baked goods are actually pretty darn good for you and so yummy! 38) Healthier Grab-and-Go Drinks – This one isn’t exactly a snack, but staying properly hydrated is definitely a healthy summer necessity. In the summer, I try to have small chilled water bottles always on hand for my kids in the refrigerator. For a reusable option (which I usually prefer! ), invest in one of these safe, high-quality water bottles. I also occasionally buy fun grab-and-go drinks as a treat for the pool or a picnic. Polly and I both look for 100% fruit juices or a healthier all-natural alternative to soda. Frozen Food Safety Quiz: How Much Do You Really Know? Thank you for all the great gf ideas! I sometimes forget some of these. 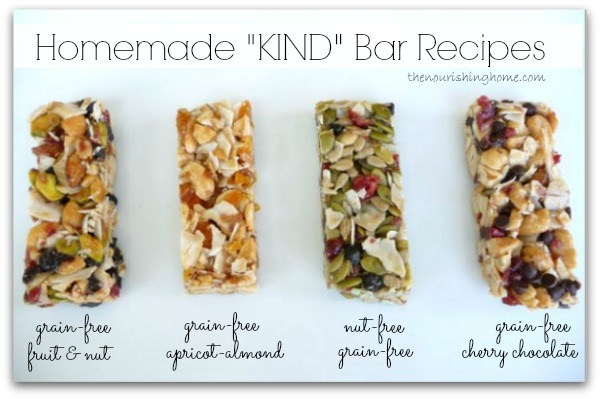 Love the kind bar recipes! I am always looking for on-the-go snacks. Thank you for sharing. I have a snack bucket in my car for those times we are at the park, or swimming, or running errands, or whatever later than I anticipated or planned and the kids are starving. I like to keep things in there that are healthy but do not require refrigeration. My kids, the oldest is nine, still like the fruit and veggie pouches found in the baby food aisle. If your kids know how to read and have an aversion to the word “baby” you can sometimes find “big kid” veggie pouches in the same aisle as the applesauce pouches. These are great to leave in the car just to have on hand. 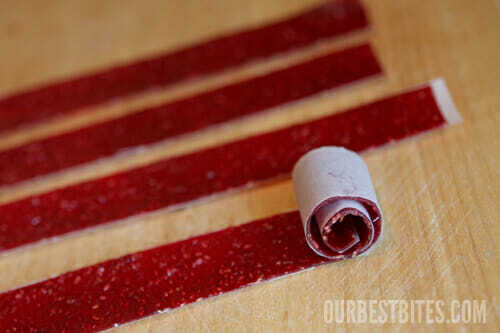 We also love the Stretch Island Fruit Co, all natural fruit leathers. I will be adding things from this list to our repertoire. Thank you. Thanks for the ideas! I get ya about the “baby” thing, though. My son would probably turn his nose up. Ha, ha! You’re welcome! Thanks for sharing them with others, Ashley!